Education and Awareness are the first tools used for noxious weed management. One has to know and understand the “enemy” in order to be able to fight it! With the tenacity of many of our invasive plants, it really is a war to conquer them. It pays to educate yourself to prepare yourself for the battle. Over the years, the MWCA has engaged in educational efforts such as the Zero Spread Campaign in conjunction with Natural Resource Conservation Service and the Fight 5 effort. Each year the MWCA implements and hosts one of the largest noxious weed conferences in the west with over 300 in attendance each year. There are two spring trainings and one fall training each year for weed managers. And frequently, the MWCA puts in for Noxious Weed Trust Fund Grants to enhance education. 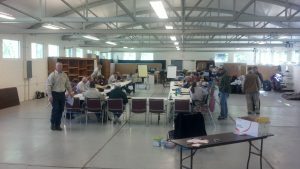 Over the years, these grants have included weed board trainings, weed ID videos, radio marketing, new coordinator trainings, educational kits and packets and much more. This past year and into 2018 the MWCA has a grant to help offset funding to work with Dan Clark and Blake Christiansen of the MSU Local Government Center to produce professional trainings for weed managers and board members at various events. In the past couple of years, the MWCA has become a partner in the Play.Clean.Go campaign based out of Minnesota. This campaign provides free educational materials to its partners and requires no funding. Hopefully the Play.Clean.Go effort will be taken over by the North American Invasive Species Association where its message will be unified and used all over the nation and in Canada and Mexico. 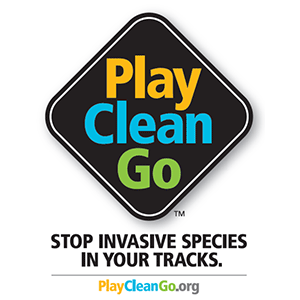 With partial funding from the USDA Forest Service, the Minnesota Department of Natural Resources (MNDNR) launched the outreach campaign PlayCleanGo: Stop Invasive Species In Your Tracks® in 2012. Since then the campaign has expanded to include partner organizations across North America. A good portion of that expansion is due to the efforts of the North American Invasive Species Management Association (NAISMA) which adopted PlayCleanGo in 2015. They are currently raising funds to take over significant portions of the campaign management responsibilities within the United States. The Canadian Council on Invasive Species (CCIS) which adopted PlayCleanGo in 2016, and National Commission for the Knowledge and Use of Biodiversity (CONABIO) which adopted PlayCleanGo in 2017 are doing likewise in Canada and Mexico respectively. Stay tuned for news on our progress. 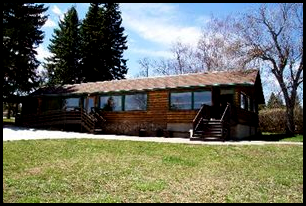 The campaign’s goal is to protect valuable natural resources while encouraging folks to enjoy the great outdoors. Using community based social marketing to build brand recognition, our objective is to slow (and where possible to stop) the spread of invasive species by changing public and worker behaviors at risk of spreading harmful pests living on land or in water. PlayCleanGo promotes awareness, understanding, and cooperation by providing a clear call to action to be informed, attentive and accountable for stopping the spread of all invasive species. We invite others with similar goals to utilize our materials. Join forces with like-minded organizations across North America and become a PlayCleanGo partner now! In 1994 a statewide independent survey was conducted to gain insight into the public’s awareness and knowledge level of noxious weeds. The survey concluded that without the support of the people of Montana, a statewide education effort would fail, so in 1995 the Noxious Weed Trust Fund Advisory Council decided that there was a need for statewide educational outreach with information about the impacts of noxious weeds on the state. Mirroring the national public awareness campaign, “Pulling Together against Noxious Weeds” became the motto for the Statewide Noxious Weed Awareness and Education Campaign Task Force in 1998. This campaign brought together stakeholders and unified the message across the state of Montana and the United States. The ‘hands shaking’ logo was indicative of the Statewide Noxious Weed Education & Awareness Campaign until September of 2012 when the campaign was renamed and a new logo was created. The spotted knapweed flower was chosen to appear on the Montana logo because it occurs in all 56 counties and has been a nuisance since it was first reported in Montana in the early 1920’s. The campaign was also renamed in 2012, the Montana Noxious Weed Education Campaign (MNWE) and continues to provide informative educational materials, programs and noxious weed outreach to federal, state, county, city, and tribal weed coordinators. 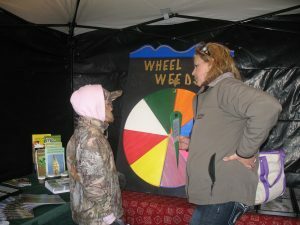 The MNWE also supports the educational outreach efforts of several non-governmental organizations, including the strengthened partnership with the Montana Weed Control Association. The MWCA produced a weed ID booklet called the Montana Noxious Weed Field Guide which is for sale on this site. You can order here. 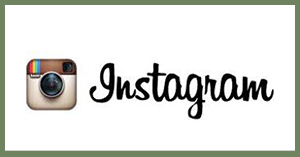 (link when we get the store ready) and of course we have one of the most comprehensive weed identification sites complete with valuable information, excellent pictures (many taken by our members) and weed identification videos. Please check them out. And when you are ready to go to war, please don’t forget to contact your local weed coordinator, extension agent or local conservation district for help in mapping out a plan of attack.